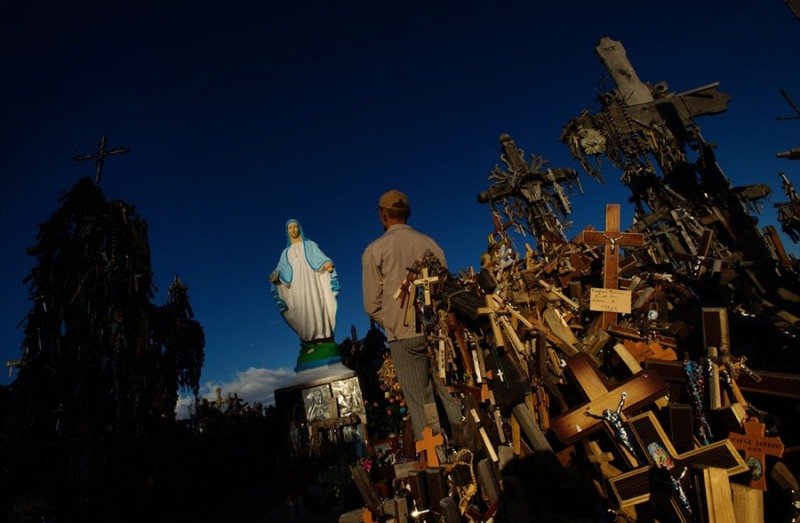 A local man prays in front of the statue of the Virgin Mary surounded by crosses on the "Hill of Crosses" (Krizu Kalnas), in northern Lithuania at the pilgrimage site near Siauliai on Sept. 3. Crosses, giant crucifixes, carvings of Lithuanian patriots, statues and thousands of tiny effigies and rosaries have been brought by Cathilic pilgrims to the site over nearly two centuries.The exact number of crosses is unknown, but 2006 estimates put the number at arround 100,000. A newly married couple poses on the "Hill of Crosses" (Krizu Kalnas), in northern Lithuania at the pilgrimage site near Siauliai on Sept. 3. 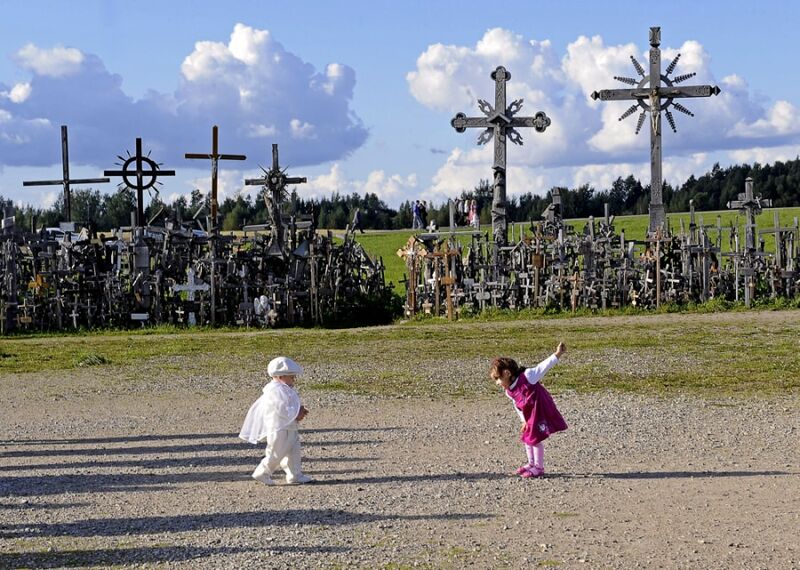 Children play on the "Hill of Crosses" (Krizu Kalnas), in northern Lithuania at the pilgrimage site near Siauliai on Sept. 3. Check out this video on the troubled history of the 'Hill of Crosses'. Lithuania's national treasure, the Hill of Crosses, has a troubled and mysterious history. The Soviets repeatedly tried to destroy it. Now, it's become a symbol of the nation's struggle and spirituality. The Hill of Crosses -- a small mountain of approximately 100,000 crosses -- is a curious phenomenon. No one manages or organises it -- it just is. The Soviets razed it again and again, only to have the crosses reappear. As Prof Viatanis Rimkis explains: "During the struggle for our freedom, the crosses became a weapon that was invincible."